As you might have gathered, the Body Shop is one of my favourite beauty brands. It just offers somewhat affordable products that really do their job, and I like that they dont have as much brand name hype as some of the other high-end brands. These are two more products that I have picked up, this time for skincare. The moisture cream is a light moisturiser, perfect for applying underneath make up and day to day. 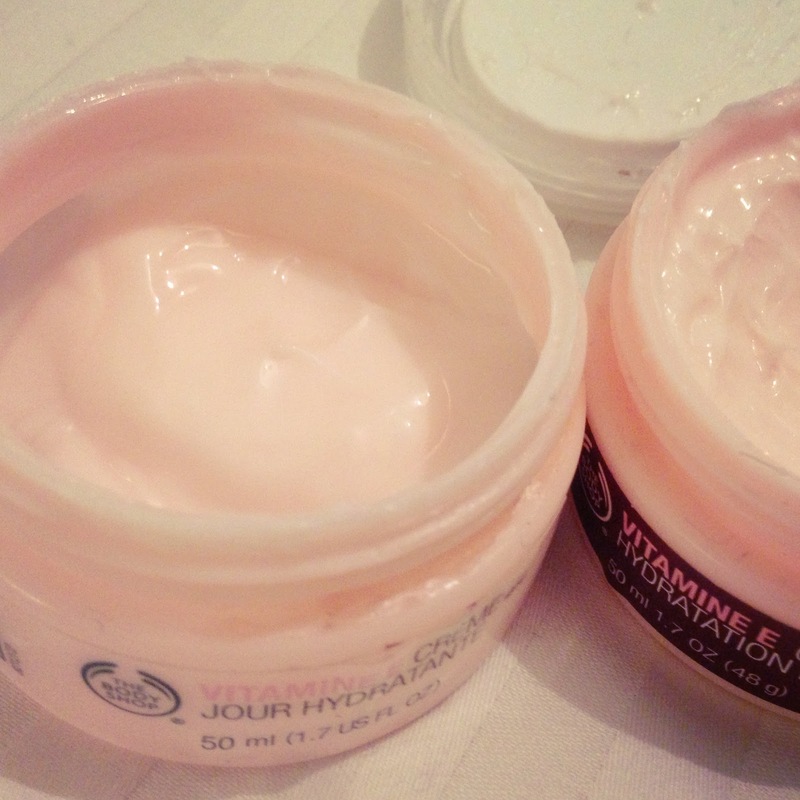 It keeps your face nicely moisturised without being oily. It has a slightly perfumed scent, but barely noticeable – just fresh and light and a smell that reminds me of general facial creams, if that makes sense. The intense moisturise cream with the burgundy top has the same scent but is a slightly thicker and more nourishing cream. It is supposed to be for very dry skin, and although my skin isn’t extremely dry, I still like to use products like this at night, especially around winter when your face has been blasted by icy winds. I usually wear the intense moisturiser before bed, blending in a good amount all over my skin, leaving my face feels really soft and nourished when I wake up. This one in particular I highly recommend and I often pick myself up a new tub every six months. I showed my mum this moisturiser too and she swears by it now. 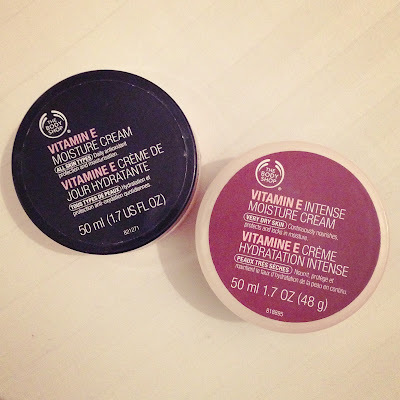 The normal moisturiser I feel does the job of others, but this is still a lovely one to try if you like the Body Shop. They come in cute, handy little 50ml tubs, and as I mentioned will probably last you between 3 and 6 months depending on how much you like to apply. Definitely give them a try if you’re looking for a new skincare routine. What do you think of these? Can you recommend any other moisturisers?